Previously you could only get Terky, the white baby Murloc that sometimes sings, dances and wears a top hat, in a Taiwanese iCoke promotion. Patch 6.2.2 changed that, but you need to know where to look. What is Killing World of Warcraft? Is it secret Murloc pets? If you weren’t one of the people who got Terky in a promotion – or a strange bug that happened a while back – you might have seen players speak of the creature’s secret in-game location like some kind of urban legend. Well now you can put those legends to rest. 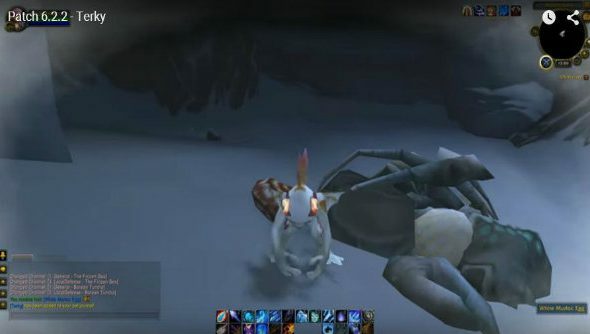 Terky is obtainable from a White Murloc Egg hidden in the Riplash Ruins in Borean Tundra. Once there, head down into an underwater passage into a cave, and surface into an underwater cave where the egg is hidden.